The Productivity Habits of 7 Billionaires, 13 Olympic Athletes, 29 Straight-A Students, and 239 Entrepreneurs. 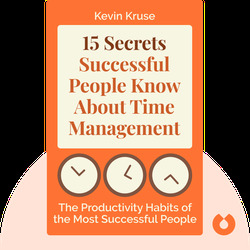 15 Secrets Successful People Know About Time Management (2015) reveals the secrets of time management used by billionaires, Olympic athletes, honor students and entrepreneurs. These blinks are a guide to extreme productivity that won’t wear you out. Kevin Kruse is a New York Times best-selling author. His first failed business venture occurred at 22, but instead of giving up, he went on to build several multimillion-dollar companies. 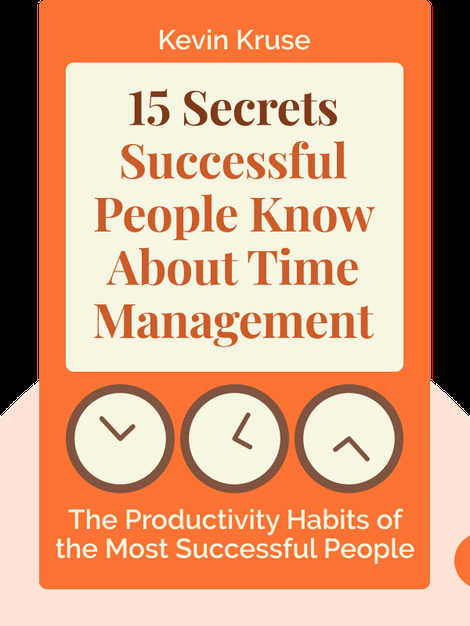 He’s now a Forbes leadership columnist and keynote speaker on time management.